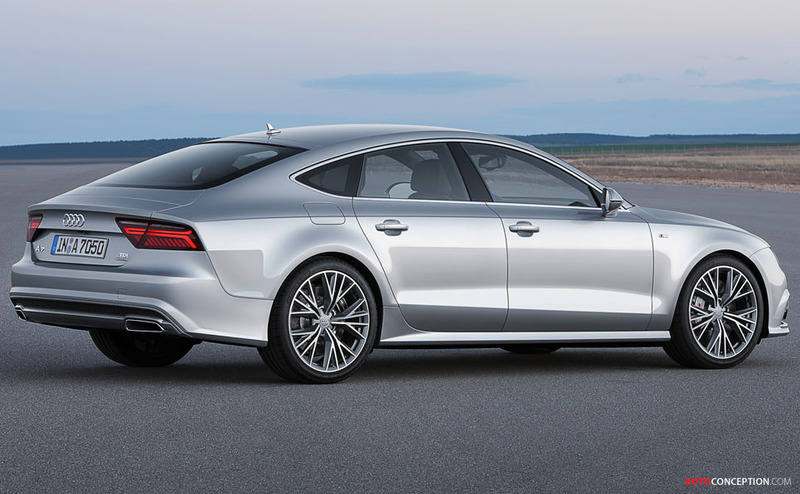 Audi’s A7 Sportback has been refreshed with new engine configurations, plus new transmissions, new headlights and tail lights and upgraded infotainment systems. 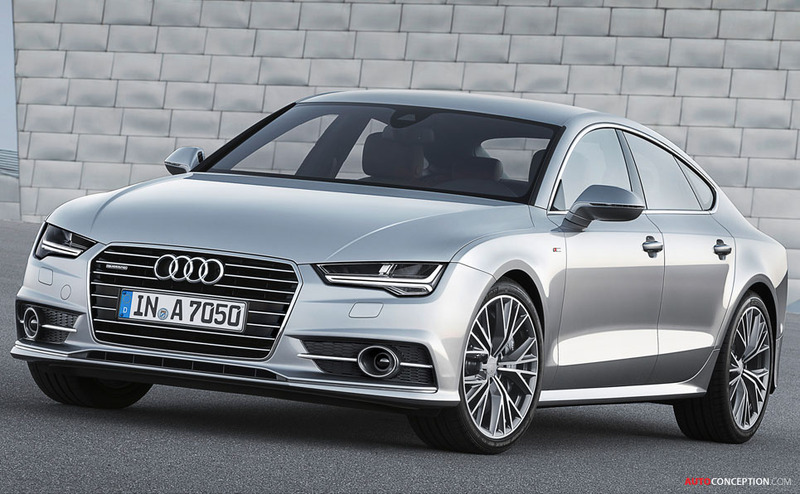 The five-door A7 Sportback, which first debuted back in 2010, is expected to arrive in the UK sometime in the last quarter of 2014. The key visual changes are to the single frame grille, which adopts the latest hexagonal design, to the bumpers, which have been resculpted, and to the tailpipes, which now have wider, trapezoidal apertures. LED headlamps also now complement the A7 Sportback’s familiar LED daytime running lights as standard, with Matrix LED headlights available as an option. Dynamic indicators with a sweeping function in the direction of the turn are also standard at the rear and optional for the front light units. The car’s body consists primarily of aluminium and high-tech steel grades. The cargo space under the electrically powered tailgate has a base capacity of 535 litres. When the rear seat backs are folded down this increases to 1,390 litres. On the inside, the dominant element is the horizontal line surrounding the driver and passenger. The cabin also gets new interior materials, including aluminium/Beaufort walnut inlays. 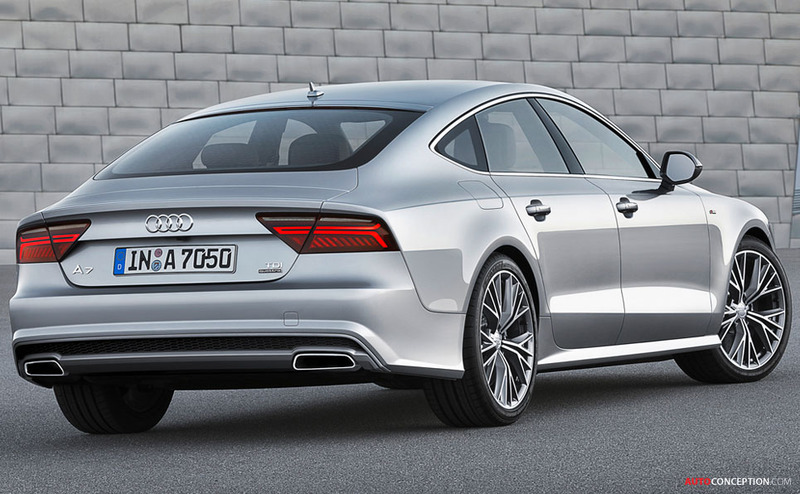 From launch, the new generation A7 Sportback will be available with a choice of five engines. The two petrol and three diesel units offer power outputs ranging from 215 bhp to 328 bhp, and comply with EU6 emissions legislation. Audi says many aspects of the 3.0 TDI clean diesel with 268 bhp have been newly developed. In the V6 TDI “ultra” version with 215 bhp and front-wheel drive, the 3.0-litre V6 returns a claimed 60.1 mpg, corresponding to CO2 emissions of 122 grams per kilometre. The top-of-the-range engine, the 4.0-litre TFSI, delivers 444 bhp of power and uses COD (cylinder on demand) technology. The 3.0 TDI biturbo, which delivers 316 bhp, works with an eight-speed tiptronic transmission; all other engine configurations work with a seven-speed S tronic transmission. In the versions with front-wheel drive, the dual-clutch unit replaces the eight-speed multitronic CVT transmission and has been fully redeveloped. For engine outputs of 268 bhp and above, quattro permanent all-wheel drive can be supplemented with the sport differential, which distributes power between the rear wheels. The Audi drive select dynamic handling system is also standard. 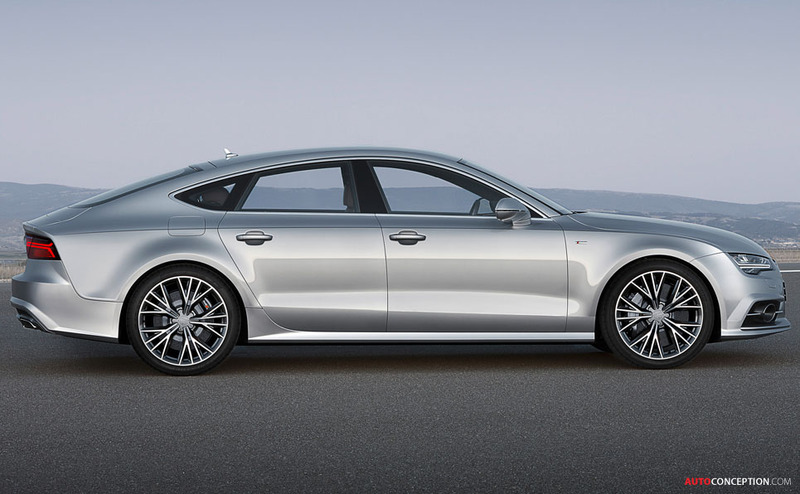 Options include dynamic steering, two sports suspension options and adaptive air suspension; in the S7 Sportback, the air suspension has a firmer setup.